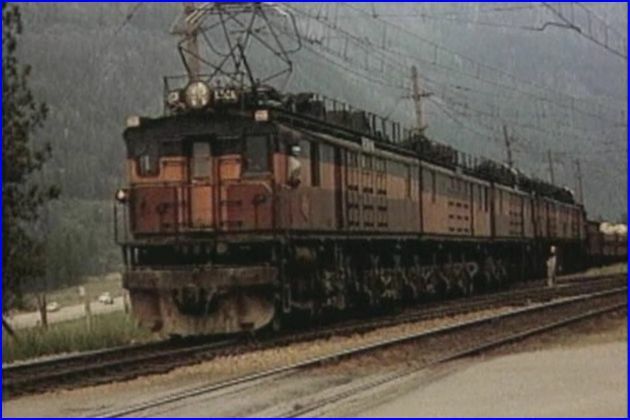 Charles Smiley train videos are unique. They are really in a class of their own. All the elements of classic filmaking are used, that result in so much more, then just watching runbys. Equally distinctive, are the multiple sources of film that are viewed. 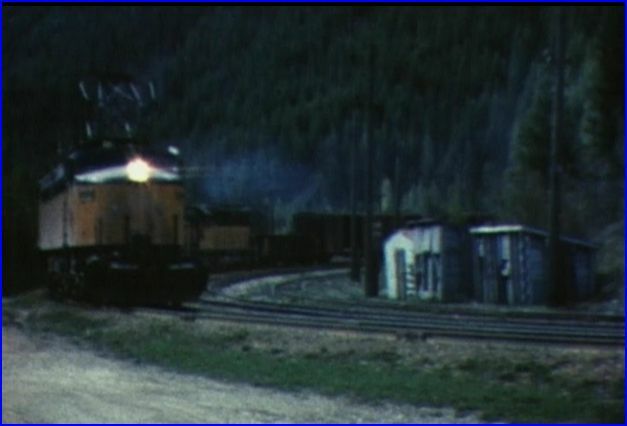 Jumping into the middle of the program, a 1957 wreck, shot on scene, in color, in the wilderness, with a big steam crane. Where does he find footage like this? The narration gives us a history lesson, as well. There is a wealth of information, provided as a perfect match to the footage.The soundtrack is a mixture of music and natural sound. The music is varied, nice solo piano, big band and more, it never overpowers the scene. Custom made maps portray; mileage, routes, and even mountain range elevations! These are of top quality, that is just not found elsewhere. An investment has been made with the maps. It adds to the clarity of, where we are, during the show. At 10,000 miles, the Milwaukee needs the maps, to properly tell the story. Still photographs, old newspaper clippings, and railroad published brochures, are some nice extras. Even, a sound recording of a substation in operation! 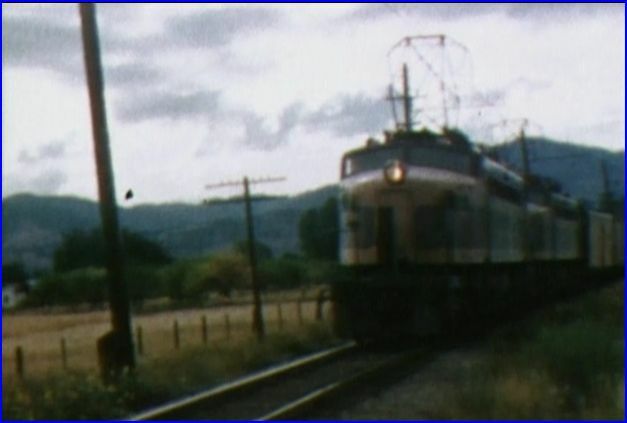 Heavy, mainline electrics are a main focus of Milwaukee Road Scrapbook. Westinghouse Quills, GE Bipolar and GE Little Joe class locomotives. Presented in detail, are the hydro-electric power substations. 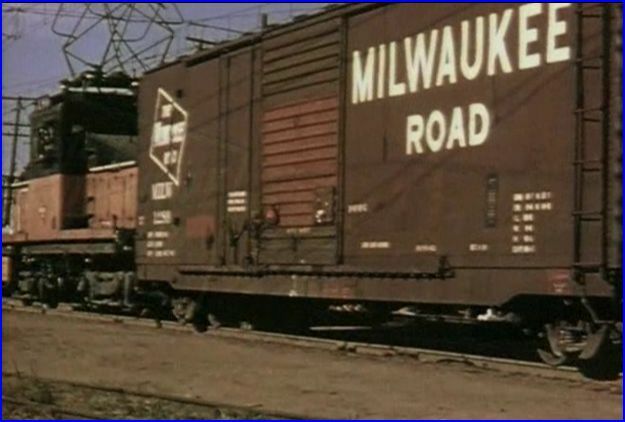 Going green, decades before it’s time, Milwaukee called it white coal. 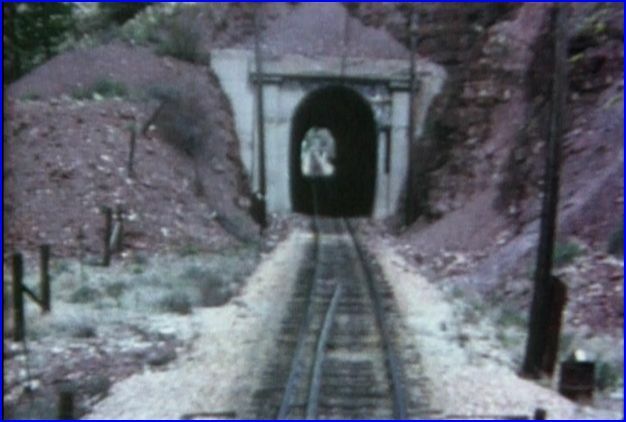 Pictures, drawings, charts, and film all help to explain the DC current and it’s application to heavy, mountain railroading. Some noted locations: Avery, Harlowtown, Butte, Clark River, Alberton, Missoula. Skykomish on the Great Northern. The town of Butte, MT. is a nice segment with the BA&P shot, mainly, in color. The mountain scenery throughout the show is fantastic! 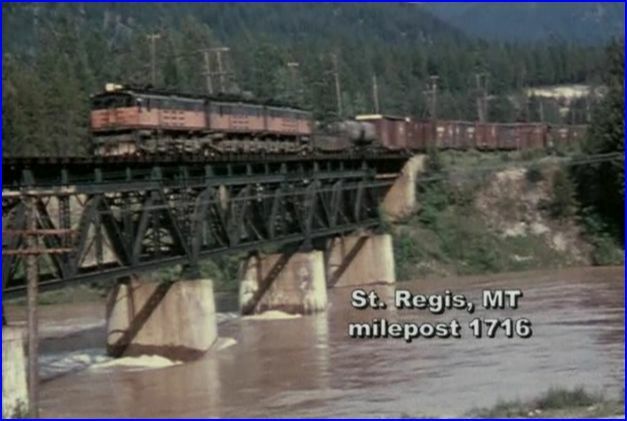 There are great shots of freights operating on the Pacific Extension. Steam and diesels are included. Hudson S-1, Olympian Hiawatha and more. 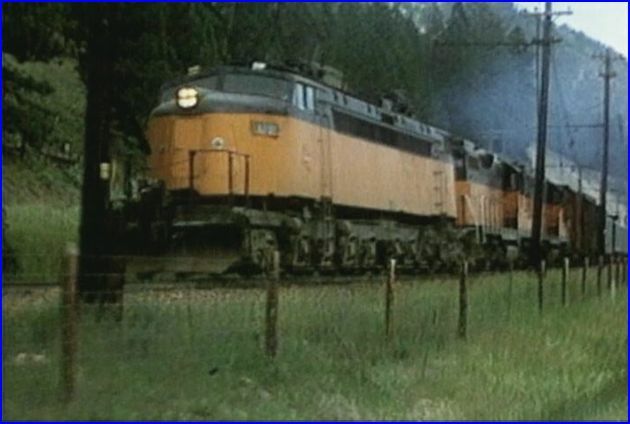 Diesels include: SD45, SD40, SW7, GE- boats and an FM switcher. 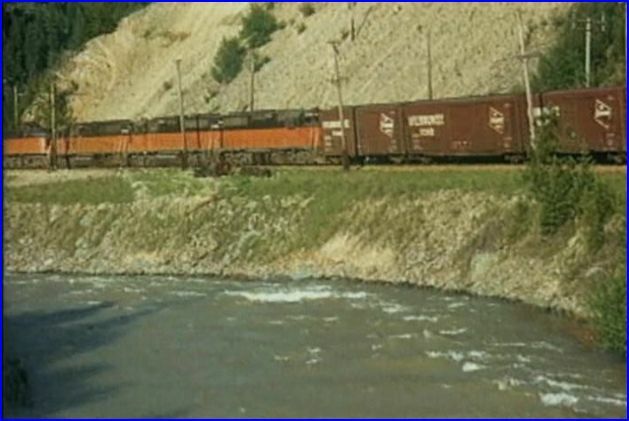 Plenty of freight cars roll by the camera. 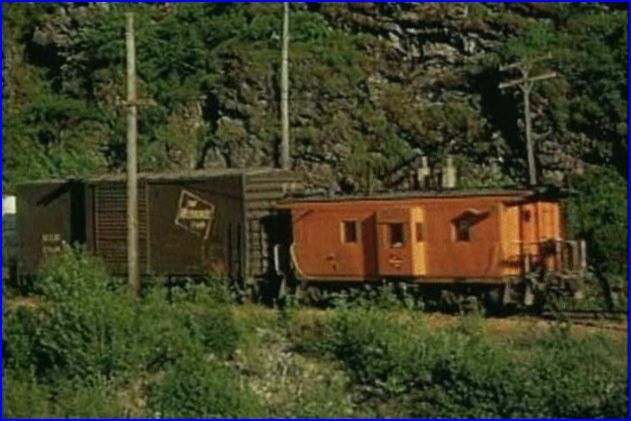 The Great Northern’s electrified section is featured, with a train at Cascade Tunnel. A look at competitor Northern Pacific (steam & diesel) is also included. Check the Olympia Hiawatha coverage. We also ride the rails a bit. Nice! Maintenance is another chapter. There is a numbered chapter menu.Snow fighting, wrecks, and Caterpillar bulldozers make for intriguing viewing. Much of this footage was shot by bored employees. Electrics were retired in 1974. The closed up electrified line is shown, in detail, and aptly described. Ironically, a Butte, Anaconda & Pacific car helps with scrapping. The BA&P was the prototype, on which Milwaukee’s electrification was based. The Pacific Extension closed in 1980. Film sources from: 16mm, Super 8, and 8mm. The footage is clean, mostly color. Quality ranges from very good to mostly excellent. Looks like a high percentage of 16mm. 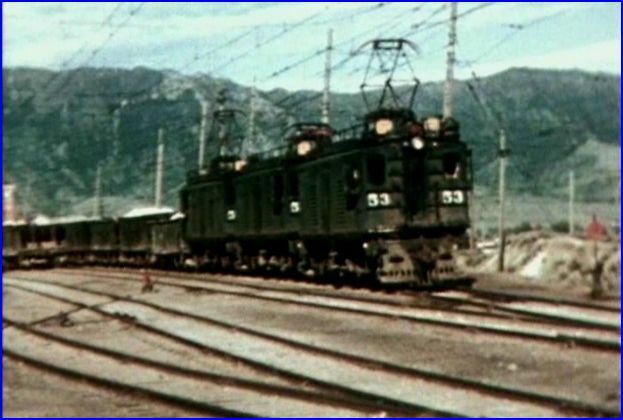 There is some train sound, but the majority is the narration and music. The sound quality of everything is excellent. There are many photographs to fill in the storyline. The script itself is professional. Much research has gone into this production. 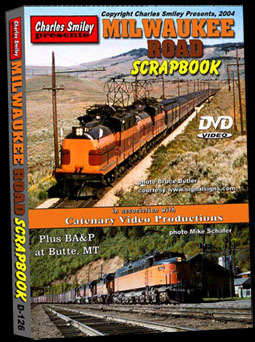 I didn’t just watch a standard train video, rather a feature film about the Milwaukee Road. Yes, it’s that good! 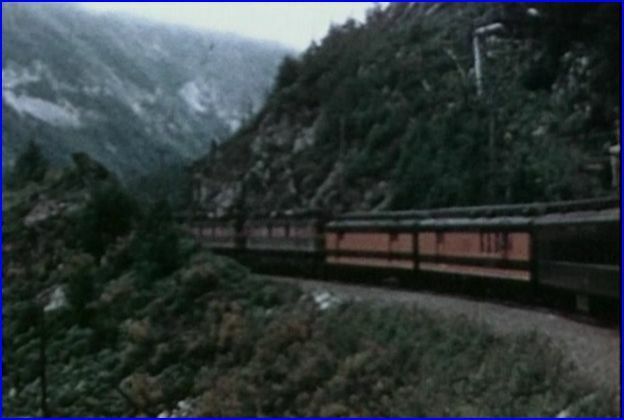 This entry was posted in ATVR Reviews, Charles Smiley Presents and tagged American Train Video Reviews, Burlington Northern, Burlington Route, Great Northern, Milwaukee Road, Railroad, Train DVD, transportation by William J. Hudson. Bookmark the permalink.